It sounds good in theory. Who wouldn't want to live in a small city where children still walk to school and get fresh air and exercise on the way? Meanwhile taxpayers save millions because there is no regular yellow school bus system. That's the arrangement in Winooski. But it doesn't work for families, according to many city residents. They packed a meeting Wednesday night to say that the reality of walking to school is cold, inconvenient and risky — especially for very young students who in some cases cross busy roads alone. Even in a city of only 1.43 square miles, the walk to school contributes to the fact that 7 to 10 percent of students are late daily and 4 to 6 percent are absent. That's according to Parents and Youth for Change-Winooski, which organized the meeting to present research and survey results, and to publicly ask school and community leaders to commit to studying solutions over the next six months. According to the group, parents who have cars often drive their children to school. But in some parts of Winooski, 30 percent of households don't have a car. Parents who might like to walk children to school can't necessarily get to work on time if they add 20 to 40 minutes of walking time. Then there's Vermont's bitterly cold winter weather — so frigid that some days the elementary school cancels recess — but kids still have to trudge to school. "It is really hard to walk in the cold," said 17-year-old Winooski High School junior Bishnu Khatiwada to the crowd at the O'Brien Community Center. Her father owns a car but must drive it to work at 5 a.m. every morning to support the family, she said. That means she walks the 10 or 15 minutes to school in all kinds of weather, including subzero days when the wind is howling. If it's hard for her at age 17, she said, think how hard it must be for the little kids. 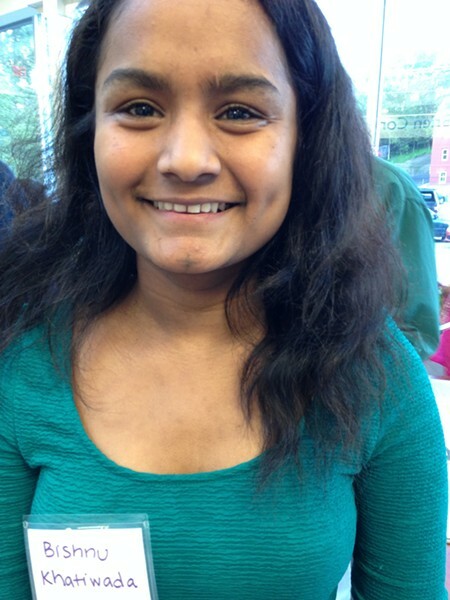 Khatiwada's family came to Vermont from Nepal in 2012 and is among many immigrant and refugee families who live in the city. Khatiwada and other speakers called for safe and reliable transportation. School superintendent Sean McMannon agreed to study the issue, as did city manager Katherine Decarreau. But both said the solutions might not come easily and costs are a big factor. If the solution was simple, it would be in place already, Decarreau said. The solution is likely to be complicated and expensive but that doesn't mean the city can't make progress, she added. "We're going to roll up our sleeves and get creative," she said. Most Vermont school systems bus children to school, although there are exceptions — including Burlington's — where many neighborhoods are close to schools. Winooski does offer some bus transportation for its roughly 800 students. The district pays about $160,000 annually for transportation for field trips, athletics, preschool and regional high school tech programs. There's also transportation for students with disabilities. And as in Burlington, some students ride the regional public bus system, the Chittenden County Transportation Authority (CCTA), to school. Small steps toward progress might come quickly as a result of the meeting. Nichol Wolfe, a single mother of boys ages 6 and 10, talked about the difficulty of getting two children to school and getting to work with no car every day. Little things, like having to ride the bus into Burlington to buy a CCTA bus pass because they aren't sold in Winooski, just add to the logistical challenge, said the teaching assistant. CCTA general manager Karen Walton said at the meeting that she was unaware until Wednesday night that bus passes weren't available in Winooski. "I can solve that problem tomorrow with a phone call," she said to loud applause. But Walton said she could not make larger decisions involving CCTA funds and routes without authority from the system's board. After the meeting, Wolfe said that not everyone is sympathetic to the call for bus transportation: "Some people think we're exaggerating because it's a short walk." The city is drawing restaurants and nightlife and has a growing appeal as a place to live, with new condos and apartments overlooking the Winooski River. But Wolfe says she's talked to parents who don't want to move to Winooski because of the walk-to-school policy. "They do not want to add that to their to-do list," she said.